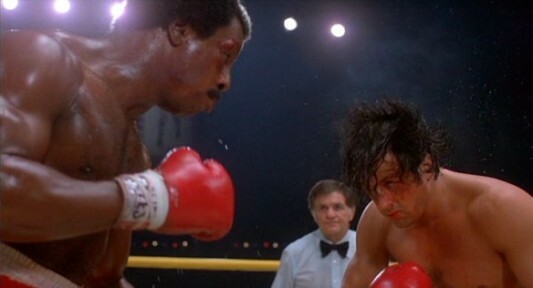 Another Rocky movie is on the way, but this one will not be so much of a sequel as it will be a spinoff. The movie will be titled Creed, and it will follow the grandson of original Rocky Balboa rival and eventual best friend Apollo Creed, who was played by Carl Weathers. MGM has grabbed Fruitvale Station director Ryan Coogler for the spinoff, and is currently in talks with that film’s star, Michael B. Jordan, to play Creed’s grandson. The movie will follow Creed’s grandson, who’s grown up in a privileged home with all the wealth Apollo made through his boxing success, but who still has the fire and passion to box that his grandfather did…despite his family understandably being against him getting in the ring. Rocky himself, Sylvester Stallone, will also reprise his role for the movie, when Creed’s grandson comes to him in need of a mentor and a trainer.